Now that the year is slowly coming to an end, it's once again time to reflect on the highs and lows of 2018. Looking at the general picture, a recent Fitch Solutions report notes that consumption remains strong, with an average expected growth of 6.2% for the year. However, the rising inflation and central bank policy rate as well as the uncertainties about the viability of the government's expansionary fiscal policy are hitting consumer confidence, with direct effects on retail sales and consumption. Even so, the economy is expected continue its growth, albeit at a slower pace, and gain 4.2% and 3.9% in 2018 and 2019, respectively. “While we do not project a major deterioration in the near term, owing to a low starting level of public debt and relatively low borrowing costs, the current trajectory poses mounting challenges for the longer term and alongside a rapidly deteriorating external position, will restrict future flexibility in responding to unexpected shocks. Over our medium-term forecast (2018-2022), we expect growth to slow to an average of 3.5% per year, with each year's growth lower than the last,” the Fitch Solutions report points out. In this context, Business Arena stays true to its tradition and continues to salute and recognize the efforts and achievements of successful companies, banks, entrepreneurs and investors. 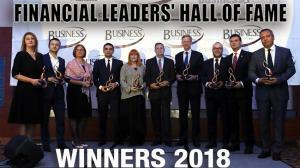 Dubbed the engine that drives the economy, banks and the financial sector were the first to come into focus, as Business Arena held its annual Financial Leaders’ Hall of Fame awards gala, in the presence of more than 100 banking and financial leaders, professionals and diplomats. Operating in a highly competitive environment, banks and financial institutions have made outstanding progress in introducing new and innovative products and cutting-edge technologies in order to adapt their business model to the requirements of the new millennium. But there is a lot more room for growth and development in this market, and skimming through the news headlines of 2018 one can easily identify some of the areas that need attention. For example, quoting Eurostat data, media reports have revealed that Bulgaria and Romania are the bottom two countries in the European Union in terms of utilization of internet banking services, with five and seven percent of the population, respectively. However, there are positive developments too. Romania has made tremendous progress in contactless payment technology, with around 70% of card payments using the technology. Coming back to last night’s awards gala, over 100 banking and financial sector leaders, professionals and diplomats attended this special event, organized in partnerships with Idea Bank, Alpha Bank Romania, CEC Bank, Banca Transilvania, Apulum Porcelain Factory, Sixt New Kopel Group, Hama Romania, Meli Melo, NHR Agropartners, Corporatebaskets, Worldclass Romania, Revolution Mediaco, Domeniile Blaga, Trends By Adina Buzatu, Cristiana Radu Media, Ramada Bucharest Parc Hotel. 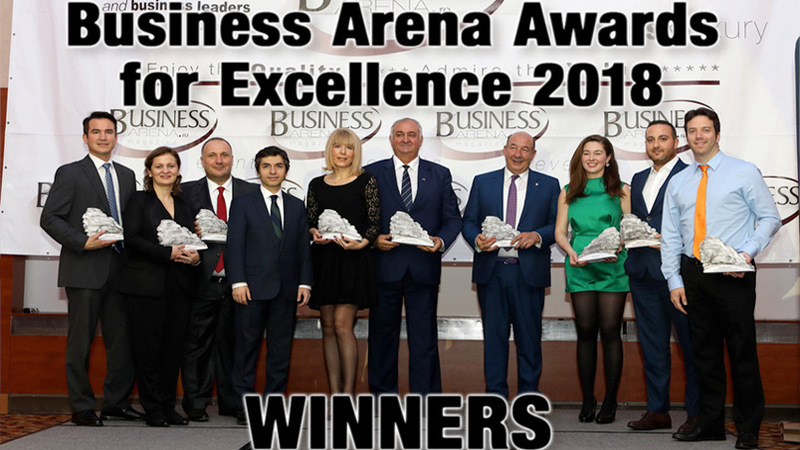 See Business Arena’s upcoming print edition for more details, photos and winners’ reactions. For outstanding success in one of the most competitive financial services sectors. For achieving a high level of recognition and admiration for its credit card portfolio, Mastercard Standard Credit and Visa Platinum, providing an excellent balance in terms of costs and benefits. Recognizing superior planning, strategy and organization reflected in successful strengthening of operations. For its outstanding contribution to the creation of a strong, modern and dynamic banking and financial sector in Romania, advocating an open cooperation and dialogue with institutional decision-makers and with the business community. For its outstanding role in stimulating the use of modern payment instruments and procedures in Romania, providing innovative, cutting-edge products and services. For successful operations in one of the most competitive financial market sectors, with outstanding products and services for its expanding customer base. For achieving a high level of recognition and responding better than any other bank to corporate clients’ needs. Recognizing superior planning and strategy reflected in successful development of operations. 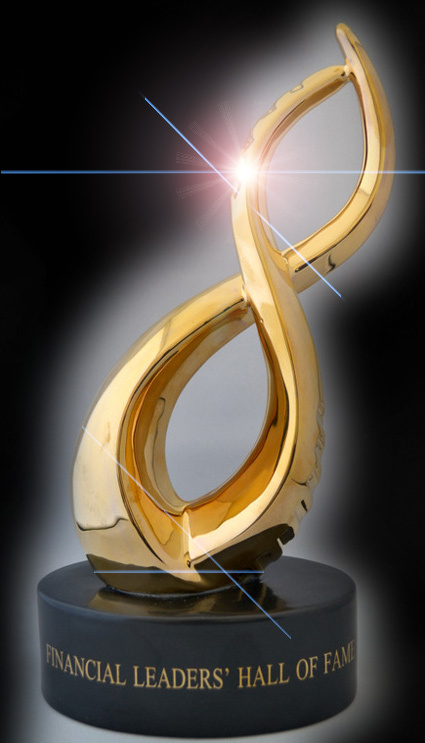 For achieving a high level of recognition and admiration from the general business community for outstanding results and qualities of creative leadership. See the upcoming print edition of Business Arena for more details, reactions and photos from this special annual event.